Enjoy the beauty of China's rich history and culture with this all-inclusive travel package at only $338 NETT per pax! Tour is conducted only in Mandarin & Cantonese only. It is compulsory for all passengers to follow the tour itinerary, otherwise a penalty of S$100 per pax per day is chargeable for not following tour. • Personal expenses such as phone, laundry and room services, etc. Get a taste of the charming Oriental modern Shanghainese lifestyle in the country that is now a formidable international power.. China. With an abundance of places to visit, don’t miss this opportunity to travel to the city that best symbolises the economic expansion of modern China. Shanghai’s gorgeous night scenery is one of the many reasons why the eastern city is a favourite tourist destination for many people. 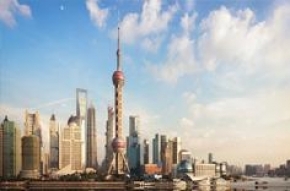 Visit the Town God Temple in Shanghai! Be enchanted by the famous galleries of buildings from different countries that tell a story of old Shanghai. Don’t forget to snack on the food in this area and fill your stomachs with the delicious treats too! Enjoy the beauty of Suzhou with a boat ride to Couple Garden that is famous for its tiny and typical Jiangnan sights. Visit the Silk Factory to see the special art in China and at the same time enjoy the Silk Show. Then head to the “Capital of Six Dynasties” Nanjing! 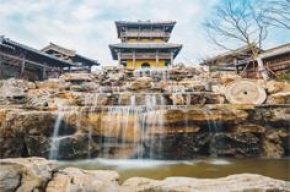 View China’s modern architectural history of Fusion Chinese and Western Classics in the Sun Yat Sen. Then take a trip to Lihu Park in Wuxi City and experience the wonderful season plant landscaping and the galleries that boast the Taihu celebrity poetry, painting and sculpture. 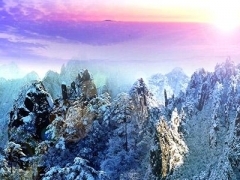 The wonders of the West Lake wrapped around mountains and the glittering beauty of it will enchant you. Enjoy the one of China’s top ten tea types, the West Lake Longjing tea right from the place it originates from! Indulge in a variety of food that Shanghai has to offer as well! Click"Find Out More" for more details.